PGA Professional, Jay Williams, Makes Golf Fun To Learn With Living Room Lessons! 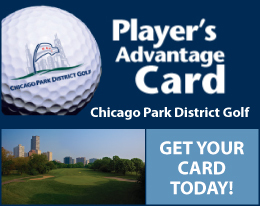 PGA Professional Jay Williams has been around the Chicago and Northwest Indiana golf scene for many years. 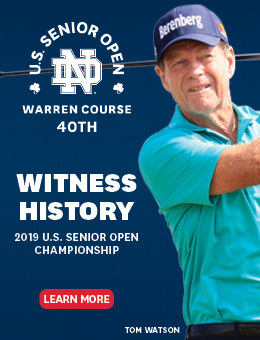 Originally from Springfield, MO, Jay has spent time at Olympia Fields CC, Lincolnshire CC and for the past 24 seasons, Briar Leaf Golf Club in LaPorte, IN. He’s well-known for his work with junior golfers, having twice been nominated for the Indiana PGA Section’s Youth Player Development Award. In addition to running the day to day operations at Briar Leaf, he is a highly sought-after golf instructor by players of all ages and abilities. GOLF NOW! Chicago recently caught up with Jay to ask about the popular video series, “Living Room Lessons,” that he has created, which is gaining steam through social media. GNC: Where did the idea of “Living Room Lessons” come from? JW: Quite simply, winter boredom. With the long winters and extended break from golf that we have, I was literally sitting around one morning in February of 2018 and came up with the idea of shooting short instructional videos covering a variety of topics on playing better golf. I decided to keep them short at around two minutes, and while I wanted them to be funny, I also wanted to make sure that each lesson had great info that was presented in a way everyone could understand and benefit from. GNC: Tell us about the uh, robes? JW: Ah, yes. Well, I wanted the videos to be unique, so I decided that a golf pro giving lessons in the winter from his living room wearing his bathrobe would probably qualify as unique. Shortly after that, my wife Debra and I traveled to see a friend in Phoenix who happened to have all sorts of “robes.” We shot videos with me in a Batman costume, a Superman robe and one from the Bellagio hotel in Las Vegas. From there, the wardrobe thing has kind of taken off as we’ve looked for and found funny, memorable outfits for me to wear. JW: (Laughs) Right. When we travel, we try to come with fun places to shoot a LRL, even though we’re not in the living room anymore. We’ve got videos from Florida, Phoenix, Jamaica, where I wore my wife’s flowered robe by the way, and also from one of my favorite places, The Strip in Las Vegas. That one had a few spectators who I’m sure were wondering what the guy in the bathrobe was doing swinging a stick in front of a casino. Or maybe not, it is Vegas after all. GNC: How has the response been? JW: Excellent. I often have players coming in at Briar Leaf that comment about having seen the videos, or asking me where my robe is, or laughing about the latest outfit that I’ve worn. We’re having a lot of fun with it. JW: Well sure, as a start. However, the videos are really intended as additional info that should be combined with personal lessons with a PGA Professional. Because there’s no substitute to having a golf coach with you outdoors at the range and on the course, where you have the conversational part of a lesson along with the immediate feedback from someone who is trained and experienced in golf instruction. GNC: We’ve seen the hashtag #alwaysonetake. Is it true that you do all of the videos in one take? JW: Always. I never wanted the videos to look over-produced, rather I wanted them to look and sound like, well, a guy shooting from the hip and filming the videos with his cell phone. And that’s exactly what they are. Debra shoots the videos, and while I let her know what I’m going to try to do, she doesn’t always know, and neither do I sometimes. The videos are fresher and funnier this way. They’re more conversational with the viewer as well. GNC: Do you offer sponsorship opportunities? JW: We’ve just begun offering the chance to sponsor a “Living Room Lesson.” Between Facebook, Twitter, Instagram and You Tube, the videos are viewed approximately 1,500 times each with an actual reach of around 4,000. We’ve made it really affordable…so call me. I can use the cash. It’s been a long winter. Jay may be reached at Briar Leaf Golf Club by calling (219) 326-1992 or by emailing him at briarleaf@comcast.net. You can view the videos on Facebook, Instagram and You Tube.